Sending emails without testing. Using over-hyped subject line. Using “noreply” in the sender’s email address or from name. Sending email that offers no value. Focusing on the products or business, not on the customer. Not optimizing emails for mobiles. There are all kinds of tips and tricks to become successful at email marketing on the Internet. But even with all these free information available and sophisticated email marketing software, we still make mistakes regularly. These mistakes are not the spelling mistake on the opening line of your email message or the wrong graphics that promote the wrong promotion. These blunders are sometime small and sometimes big that if you overlook could cost you fortune. To stop you from making these email marketing mistakes like everyone else, we asked the marketing Gurus to name the mistake that stands out the most. There are over 2 dozens of the web- and desktop-based email software available for you. With all these tools at your fingertips, you can easily spot and fix many problems by simply sending out a test email to yourself using the most popular email clients such as Gmail, Hotmail, Yahoo, and Outlook. In your inbox, look at your email message and check if the subject line is easy to read and clear, images are displayed correctly, and there are no spelling and grammar mistakes. 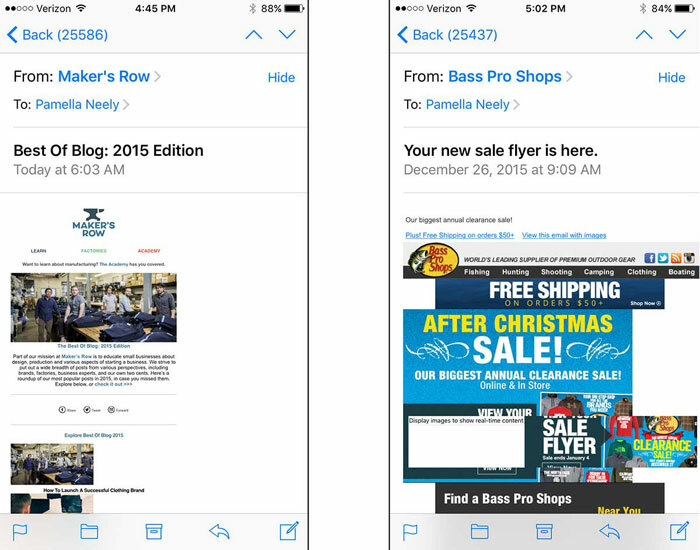 Also, check how your email content will display across different email programs. You can go a step further by performing an A/B testing using a small portion of your subscriber list and seeing which variation of the same message gives better results. Then, you can send the best performing one. Another mistake many marketers make is sending out an email with the overhyped subject line. Using creative and sometimes bold subject lines may increase open- and click-through-rate, but it may not help building trust in your brand. If you are always using similar headlines that lead to less than stellar email messages, then your subscribers will eventually consider (the sender) as “spammers” and will not hesitate to click on the “unsubscribe” link. So, make sure that your subject line is relevant to the content of your email. If you don’t, your subscribers will not be very pleased about it, which only kills the trust in your brand. Rather, focus on providing relevant and useful content to your subscribers that lead them into something valuable, even if that means losing few clicks. Another mistake you could be making is using “noreply” or “admin” or “from name” or something unclear in the sender’s name field of your email message. If you are sending an email message from a “noreply” address (or through the email address that will never get checked), you are basically saying, “I do not want to talk to you,” to your readers. This is a good engagement opportunity that you are missing out when you use a “noreply” email address. Rather, you could make yourself available to your subscribers who have questions about your business and how to use it. Start sending out emails from a reply email address such as sales@yourcompanyname.com or contact@youcompanyname.com that encourages your subscribers to reply if they want to contact you. You could route all those responses to a particular department of your business (e.g. customer support), where your awesome customer support staffs will help answer your subscribers’ pressing issues. When people talk with the customer support staff and get their issues/problems answered, they are more likely to turn into repeated customers. However, if you used noreply@companyname.com email, that opportunity will just pass away. When a new visitors to your website signs up to your email list, they are allowing you to send them your email marketing campaigns. However, this permission can go stale pretty fast if you do not reach out to your contacts before they completely forget having signed up for your newsletter. So, make the best use of the limited amount of time to inform about your brand, offers, and business to your potential customers. 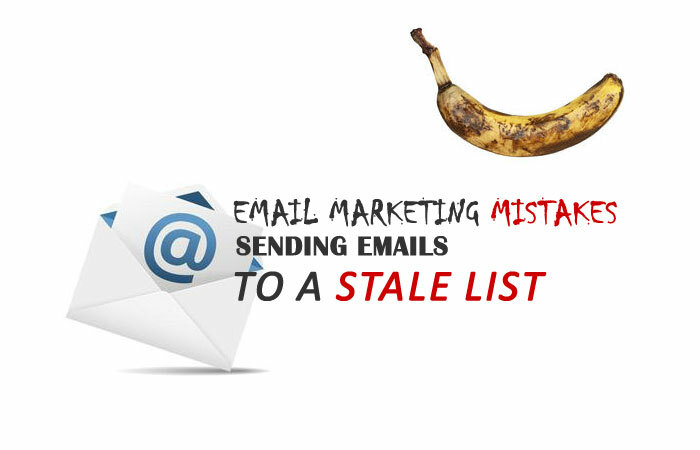 Stale lists often lead to high rates of bounces, unsubscribes, and complaints. If you think your email list might be stale, then you will have to reconfirm it by sending another email to your “inactive” users. Sending out emails that offer valuable content to your subscribers (potential customers) will not only get them to open and read them (engage) but also become excited to learn more about your products and services and pay for your products and services. Emails should provide value to the customer, not only try to sell products, services, or offers to them. This often happens when the marketing team, not the product team, is in charge of the email marketing campaign. Their major goal is to grow – subscriber’s list, sales, and profits. But most marketers forget that the most growth comes through simple and repeatable service that is so great it is shareable. 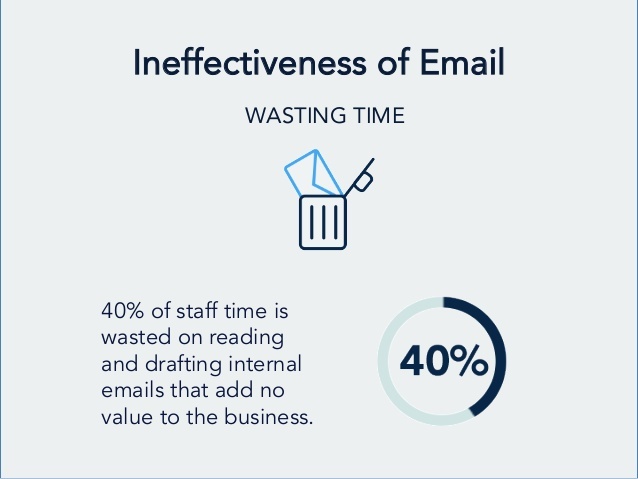 You can serve your customers by sending them out emails that contain simple tasks and giving them more than they were expecting to receive or more than they were paying for your services. 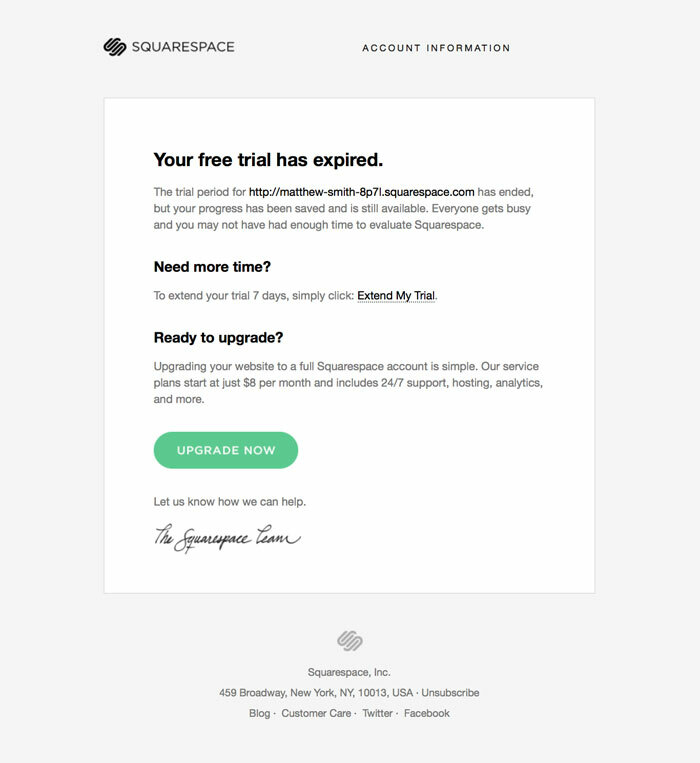 Squarespace does this so well. Links that is small and difficult to click-through. Links has to be clickable without your subscribers having to zoom in. They need to be big enough to allow a guy with big fingers to accurately click them, even if he is walking down the street while doing this. 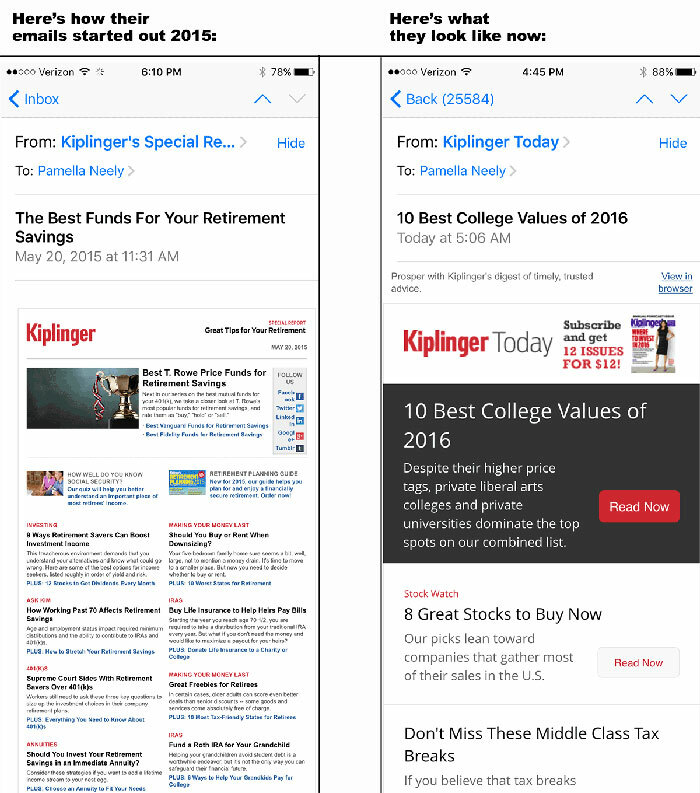 Moreover, here is a company that did a wonderful job of optimizing their email for mobile devices: Kiplinger’s. 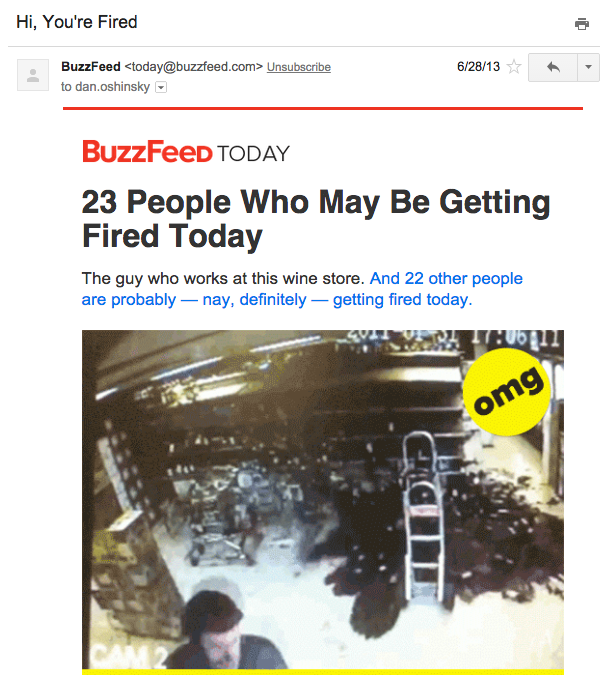 What was the worst email marketing mistake you made this year? Maybe it was your own or somebody else’s. Either way, it would be awesome to hear from you in the comments section below. This entry was posted in Email Copywriting, List Building. Bookmark the permalink.